B&A Hydraulics aim to always supply customers with the most appropriate products and solutions to satisfy their needs. 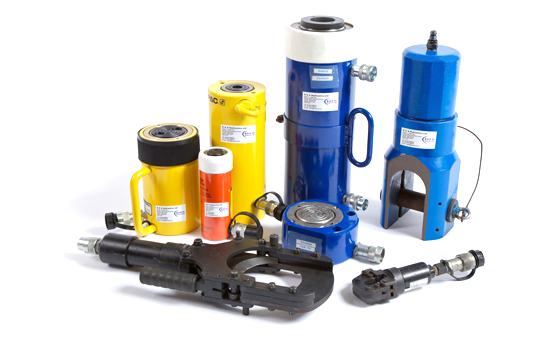 This covers the sale and rental of high pressure hydraulic cylinders and cutters along with ancillary equipment to operate them. B&A Hydraulics can supply hydraulic cylinders from General Purpose, Low Height, Low Tonnage to High Tonnage, Hollow and Pull Cylinders along with Hydraulic Cutters for Wire Rope/Steel Bar/Cable..
"It takes teamwork to achieve a result, Let B&A be part of your team - Together Everyone Achieves More"